While in Valladolid, on a chilly afternoon, I walked through a house with cramped staircases and low hanging doorways. There were small beds in darkened corners. Aged chairs and paintings. Iron pots and kitchen implements. No doubt much of what was in there, had been placed for effect, but you could still feel the age. This house is known as Case de Cervantes, it was a home where the writer Miguel Cervantes stayed in the early 17th century. Today it is a small museum that features small bits of information about the writer's life. 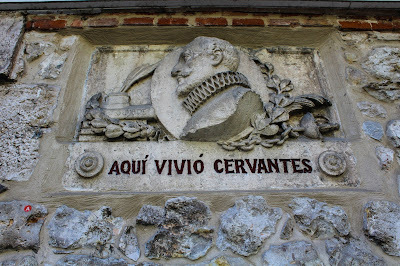 You will also find similar Case de Cervantes in other parts of Spain. One of the presenters at the "Primus Circumdedisti Me: Claves de la Primera Globalizacion" conference focused primarily on the life of those who traveled with Magellan on his voyage. What were the things that they ate? How much did they get paid? What were the rules on these ships? What was the hierarchy like? Were captains the lords over these ships and the men like slaves? Or was there some democracy as we see on pirate ships? Much of this presentation I was already familiar with from my own study and even from the numerous pirate based video games that I enjoy playing. But there was one part that I found particularly interesting, about how men passed the time on the voyages, or what they did for fun. After attending a conference where everyone couldn't stop talking about Ferdinand Magellan for three days straight, I could not help but think about one of the more intimate ways that the explorer has been invoked within my family. Many Chamoru families will mention Magellan in the usual ways, as the source of civilization, Christianity or modernity, as the limit of Chamoru existence, where prior to Magellan there is primitivity and savagery. They may mention him generically as being the first colonizer or the beginning of the end for the Chamoru people, even though he did not directly colonize Guam, and such a process would begin more than 140 years later under the guidance of Påle' San Vitores. Several years ago, Senator Tommy Morrison was pushing for the reinstatement of Discovery Day as a local, Government of Guam holiday. For those younger or more forgetful than myself, Discovery Day was a holiday created in 1971 to commemorate the "discovering" of Guam by Ferdinand Magellan in 1521. It was celebrated until the early 2000s when it was removed as a local holiday. For those who aren't familiar with the festivities associated with Discovery Day, it was normally a time for the southern village of Umatac/Humatak to shine. A fair or carnival would be held in the village, with the highlight of the day being a re-enactment of the arrival of Magellan. In Magellan's trip across the Pacific, he passed by thousands of islands, the majority of which they did not see. They noticed a few, but they had no resources to offer and only made the voyagers more distressed. Guam and the Marianas were the first landfall they made after months at sea, where many became ill and more than a dozen died. The interactions between Chamorus and Magellan did not go well, and I'll write more about that later. 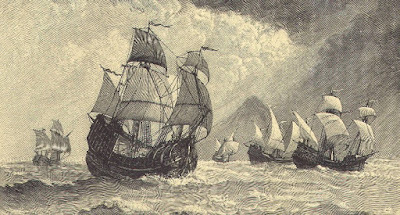 Because of this contact, Magellan's voyage was able to obtain some supplies to help them eventually reach the Philippines less than two weeks later. 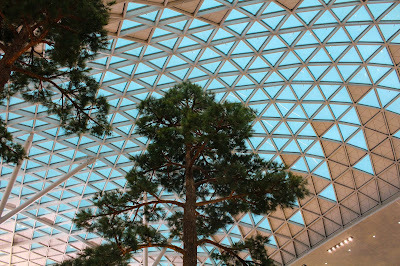 My trip to Spain took me through South Korea, where I spent seven hours in the Incheon Airport in Seoul. In the same way that Guam and Okinawa have been connected for years now because of US military plans, so too have Guam and South Korea become connected as well. Guam has been a potential target for North Korea for many years now, as it is one of the most prominent US bases in the region. But over the past year the danger to Guam has become far more pronounced, from both sides of the Pacific. Late last year, North Korean rhetoric became more focused around Guam, far more than it ever had before. The year before that, Donald Trump was elected President of the US, and his foreign policy approach hasn't been very ideologically based, but seems to be rooted in impulsive Twitter tirades. Both of them combined mean that people on Guam have no idea what to think or even worry about next. I will be in Spain this week for the conference "PRIMUS CIRCUMDEDISTI ME: Claves de la primera globalizacion." It is a historical congress being organized primarily by the Spanish Ministry of Defense that will discuss the 500th anniversary of the first circumnavigation of the world by Ferdinand Magellan. I am attending the conference as the representative from Guam, where Magellan visited in March of 1521. 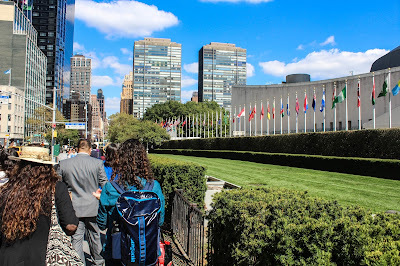 I will be writing about my trip and the congress under the title "Circumnavigations." Not only because of the trip of Magellan itself, but also because of the ways in which Guam and myself are navigating as well, working our way around history and around the global filled with independent nations. Here is the description of the conference from its website. 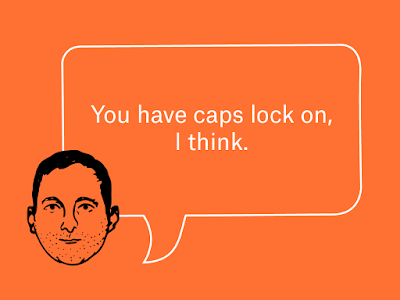 During the 2016 election, I followed the website FiveThirtyEight on a daily basis. I found the commentary to be very enlightening, as it wasn't just their reporting about polls, but also their analysis on what makes a poll informative or effective. The media in general often times picks polls that fit the narrative they are trying to promote, or they have their own internal hierarchy over what makes one poll useful and another less so. But these critical information points are rarely discussed openly, even if more astute media viewers or consumers can make their own best guesses. Although after Trump's victory in the election, I stopped consuming that type of poll-focused news. But as the US mid-term election season is starting up again, and we've ahead a round of very interesting special elections, I've slowly been drawn back to the website. Mensåhi Ginen i Gehilo' #26: Kao pau hånao ha' si Uncle Sam? "Kao pau hånao ha' si Uncle Sam, anggen manindipendente hit?" Fihu hiningok-hu este na chathinasso ginen i kumunidåt. Anggen mamindipendente hit, u fanmalingu siempre todu i kosas motdeno. U hånao ha’ si Uncle Sam, pau dingu hit ya pau laknos yan bo’ok todu i chinile’-ña mågi. Este na klasen kontråtan, fihu masusedi gi taiguini na klasen tinilaikan pulitikåt gi otro na tåno’ lokkue’. Siña este na tiempon tinilaika tinaka’ uno año, tres años, dies años, pat bente pat trenta años. I inapmåm-ña ha dipepende gi håfa diniside ni’ dos na nasion. Each March, UOG organizes an Annual Research Conference or ARC. This year is the 39th year there has been a conference such as this. I presented at this conference as an undergraduate student, a graduate student and now I present at it regularly as a professor. For this year's ARC, I am participating in a couple different panels and presentations, most of which are connected to Guam's decolonization or its current political status.